As Chapters I and II should have made clear, the Catholic and Protestant concepts of the priesthood are totally incompatible. They are mutually contradictory: both cannot be true. The only manner in which Catholics and Protestants could reach genuine agreement is by one of the parties abandoning its position and adopting that of the other. But a spurious form of reconciliation is also possible. One or both parties could adopt the device of ambiguity to facilitate unity. This has now become the practice of many Catholics engaged in ecumenical dialogue. Doctrinal statements are formulated in such a manner that teaching unacceptable to Protestants is never affirmed, even if not expressly denied, and at the same time the liturgical expression of doctrines which Protestants reject is reduced to the absolute minimum or totally abolished. Before examining the extent to which this has been the case with the new Catholic rite of ordination it is necessary to examine the reasons which prompted Pope Leo XIII to state quite irrevocably, in his Bull Apostolicae Curae of 1896, that Anglican Orders are invalid. It will then be possible to decide the extent to which features that the Pope declared unacceptable in Cranmer's ordination service have been reproduced in the new Catholic rite. In order to understand clearly the meaning of the Bull Apostolicae Curae on Anglican Orders, it is necessary to know something of the historical background to the Anglican Ordinal. After the break with Rome in 1534 no change was at first made in the method of ordination. Throughout the reign of Henry VIII, and the earlier part of that of Edward VI, the Sarum Pontifical [The Pontifical is the book containing the rite for consecrating a bishop and ordaining men to all the major and minor orders.] was was still in use. Bishops were consecrated and priests ordained under the old forms of the Church, though variations were sometimes made without authority. But, soon after the appearance of the 1549 Book of Common Prayer, Cranmer turned his attention to the rite of ordination. The introduction of the new Ordinal was certainly the most important event in the English Reformation. 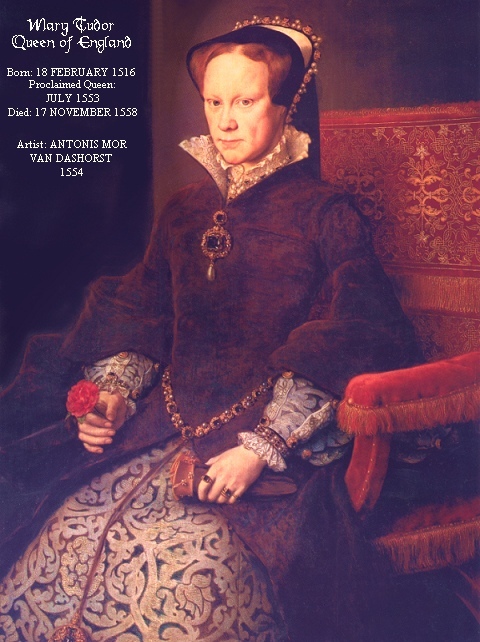 A bill to provide for it was introduced into the House of Lords on 8 January 1550. It was to obtain approval in advance for an ordinal which would be composed by "six prelates and six other men learned in God's law". A simple majority of this committee would suffice to approve the Ordinal and, as it would have a Protestant-minded majority, the result was assured in advance. The bill was finally voted in the Lords on 25 January and was delivered to the Commons. After various amendments it was passed on 30 January. Although the Ordinal had not yet been composed officially, there can be no doubt that the real work of the Committee was not to compile an ordinal but to approve one which had already been compiled. On 8 February 1550, Heath, the only Anglo-Catholic appointed to the Committee, had been called before the Council, "for that he would not assent to the book made by the rest of the bishops and clergy appointed". He was imprisoned and deprived of his see for refusing to subscribe to the new Ordinal. 2 Thus, it is clear that the new Ordinal had been completed within six days of the appointment of the Committee. It had actually been printed by 7 March 1550. The 1550 Ordinal was revised in 1552, the principal difference being found in the service for the ordination of a priest in which the ceremony for the delivery of the chalice and paten was removed. Even in the 1550 rite the signification of this ceremony had been reduced to giving authority to minister the Sacraments and not the power to offer sacrifice. The two Ordinals were in use for about four years and were utilized for the ordination of a good number of priests and the consecration of six bishops: Poynet, Hooper, Coverdale, Scory, Taylor, and Harley. Another bishop, Ferrar of St. David's, had been consecrated before the issue of the 1550 Ordinal but with an amended version of the Sarum Pontifical. 1. Those who had been ordained before the schism. 2. Those ordained during the schism but according to the Pontifical. 3. Those ordained according to the new Ordinal. With regard to the first and second classes, their ordination was certainly valid and all that was necessary was that they should be absolved from the guilt of schism and given the Church's authority to use the orders they had received. For this purpose dispensations would be needed but nothing more. 1. The ordinations could be accepted as valid and satisfactory. 2. They could be accepted as of dubious validity and necessitate conditional reordination. 3. They could be invalid. Cardinal Pole decided to ask for guidance from Rome before making his decision. The matter was entrusted to Thomas Thirlby, Bishop of Ely, who left for Rome in February 1555. He had been consecrated with the rites of the Pontifical during the reign of Henry VIII and therefore had full knowledge of all that had taken place under both kings. He had, moreover, made a public protest against the new Ordinal when it was introduced into the House of Lords. He carried all the relevant documents with him, including a Latin translation of the essential parts of the Anglican Ordinal. These documents are still filed in the Vatican archives. That it is only those bishops and archbishops who were not ordained and consecrated in the form of the Church that can not be said to be duly and rightly ordained, and therefore the persons promoted by them to these Orders have not received Orders, but ought and are bound to receive anew the said Orders from their ordinary according to the tenor and content of our aforesaid letters. The Brief then explains that those who had been ordained or consecrated according to the Pontifical had received valid orders and could exercise them after receiving the dispensation of His Holiness from the Legate. The attitude of contemporary Catholics to the validity of Orders conferred by the Anglican Ordinal was made very clear in a sermon preached by Bonner in 1555 in which he refers to "the late made mynysters in the time of the scysme, in theyr newe devised ordination, havinge no authoritie at all given them to offer in the Mass the Body and Bloude of our Saviour Chryste." As was shown in Cranmer's Godly Order, apart from Gardiner, Bonner was the most courageous of the Catholic-minded Edwardine bishops and eventually suffered imprisonment for his defence of Catholic belief. Like Gardiner, he was restored to his see under Queen Mary, and among his homilies the one just cited is of particular importance. It proves that contemporary Catholics had not the least doubt that the Edwardine Ordinal was invalid in both its 1550 and 1552 forms. The lengthy extract from this sermon which follows merits extremely careful study as an antidote to attempts by nominally Catholic apologists for the Protestant Reformation to falsify history in the interests of superficial unity. Pope Leo XIII delivered the final judgment on Anglican Orders in Apostolicae Curae. What was it that prompted him to promulgate this Bull in 1896? Contrary to a widespread opinion today, he was not motivated by any animosity towards the Church of England. Quite the contrary! The Pope had been convinced by an ecumenically minded French priest, the Abbé Fernand Portal, that the Church of England was Catholic in all but communion with Rome, and that there was a great desire for union with Rome among Anglicans. While on holiday in the island of Madeira in 1889 the Abbé had met, quite by chance, Lord Halifax, a leader of the Anglo-Catholic movement. Had it not been for this meeting Apostolicae Curae would never have been written. The Abbé was astonished by the picture of the Church of England conveyed to him by Lord Halifax, and eventually came to England as his guest. He was taken to visit Anglo-Catholic parishes, convents, and shrines, but was protected by careful screening from contact with militantly anti-Catholic Evangelical Anglicans or, incredible as it may seem, English Catholics! He even declined a luncheon invitation from Cardinal Vaughan at which he would have met some Catholic theologians with an expert knowledge of Anglicanism. The Abbé did, however, find time to visit the Archbishop of Canterbury! Word reached Cardinal Vaughan that such was the Pope's enthusiasm at the prospect of bringing the Church of England back into Catholic unity that he was on the point of writing a personal letter to the Archbishops of Canterbury and York. The Cardinal later discovered that the Pope was also considering offering conditional ordination to convert Anglican clergy, and thus accepting the possibility that their orders could be valid. The original commission of six members was divided equally between theologians who accepted and rejected the validity of Anglican Orders. The three pro-validity members were assisted throughout the discussions by two Anglican theologians, the Reverend T.A. Lacey and the Reverend F.W. Puller. They remained in Rome throughout the sittings of the Commission with the approval of Cardinal Rampolla, the Vatican Secretary of State, and the Anglican Archbishop of York. Mr. Lacey accepts that three of the theologians, the Abbé L. Duchesne, Msgr. P. Gasparri, and Father de Augustinis, S.J., were all appointed after submitting pro-validity memoranda to the Pope, which proves that Leo XIII was determined to have an absolutely impartial enquiry. The three pro-invalidity scholars were all English priests, Father F.A. Gasquet, O.S.B., Canon J.C. Moyes, and Father D. Fleming, O.F.M. Father J.B. Scannell, one of the few English priests favouring validity, later joined the first group, and Father J. de Llevaneras, a Spanish Capuchin, was added to the second. Mr. Lacey accepted that the relationship of the Anglican theologians to their sympathizers on the Commission could be compared to that of a solicitor to a counsel he has briefed, but he stressed the fact that they had not engaged the pro-validity Catholic theologians as advocates to petition for a recognition of Anglican Orders, and that the Commission had not been set up at the request of the Church of England which had no doubts concerning the validity of its orders. He explained that: "We did work as solicitors work when instructing counsel: we supplied information, we prompted arguments, we held consultations." 8 It is thus certain that every argument favourable to the validity of Anglican Orders was put before the Commission. The sittings of the Commission extended over six weeks, during which time twelve sessions were held at the Vatican, every possible facility being given for the examination of all documents in the possession of the Vatican or Holy Office, many of which were still unknown or unpublished in England. Every detail of the controversy was fully discussed. 9 The Commission held its last meeting on 7 May 1896, and its findings were submitted to the Cardinals of the Holy Office who devoted two months to examining the evidence. They met to reach their decision on the solemnity of Our Lady of Mount Carmel, Thursday 16 July, with the Holy Father himself presiding, a sign of the particular importance that he attached to this question. At this meeting the Cardinals were unanimous in condemnation. There was not one who, after going through all the evidence, was not convinced of the invalidity of Anglican Orders. But the Pope was under no obligation to endorse their decision or even to issue a pronouncement upon Anglican Orders. Day by day for nine days he made a Novena to the Holy Ghost, asking for special help and enlightenment in making his own decision. The Pope also offered his Mass each day for the intention that he might do what was best for the Church of God in putting forth or withholding a fresh authoritative decision upon the subject. At the conclusion of the Novena his mind was clear. The Bull was prepared and on Friday 18 September 1896 Apostolicae Curae was published, pronouncing finally and irrevocably that Anglican Orders "have been, and are, absolutely null and utterly void." For the full and accurate understanding of the Anglican Ordinal, besides what we have noted as to some of its parts, there is nothing more pertinent than to consider carefully the circumstances under which it was composed and publicly authorised. It would be tedious to enter into details, nor is it necessary to do so, as the history of that time is sufficiently eloquent as to the animus of the authors of the Ordinal against the Catholic Church; as to the abettors whom they associated with themselves from the heterodox sects; and as to the end they had in view. Being fully cognisant of the necessary connection between faith and worship, between "the law of believing and the law of praying", under a pretext of returning to the primitive form, they corrupted the Liturgical Order in many ways to suit the errors of the reformers. For this reason, in the whole Ordinal not only is there no clear mention of the sacrifice, of consecration, of the priesthood (sacerdotium), and of the power of consecrating and offering sacrifice but, as We have just stated, every trace of these things which had been in such prayers of the Catholic rite as they had not entirely rejected, was deliberately removed and struck out (para. 30). It is true that the Anglican Ordinal, like Cranmer's 1549 Communion Service, did not specifically exclude or deny the Catholic concept of the priesthood. As Pope Leo XIII makes clear, the key to the whole understanding of Anglican Orders lies in an accurate appreciation of the historical setting in which the Ordinal was composed. of the authors of the Ordinal against the Catholic Church; as to the abettors whom they associated with themselves from the heterodox sects; and as to the end they had in view (para. 30). The history of the period and the sentiments of the authors are documented fully in Cranmer's Godly Order. In vain has help been recently sought for the plea of the validity of Anglican Orders from the other prayers of the same Ordinal. For, to put aside other reasons which show this to be insufficient for the purpose in the Anglican rite, let this argument suffice for all. From them has been deliberately removed whatever sets forth the dignity and office of the priesthood in the Catholic rite. That "form" consequently cannot be considered apt or sufficient for the Sacrament which omits what it ought essentially to signify (para. 27). With this inherent defect of "form" is joined the defect of "intention", which is equally essential to the Sacrament. The Church does not judge about the mind and "intention", in so far as it is something by its nature internal; but in so far as it is manifested externally she is bound to judge concerning it. A person who has correctly and seriously used the requisite matter and form to effect and confer a Sacrament is presumed for that very reason to have intended to do (intendisse) what the Church does. On this principle rests the doctrine that a Sacrament is truly conferred by the ministry of one who is a heretic or unbaptised, provided the Catholic rite be employed. On the other hand, if the rite be changed, with the manifest intention of introducing another rite not approved by the Church and of rejecting what the Church does, and what, by the institution of Christ, belongs to the nature of the Sacrament, then it is clear that not only is the necessary intention wanting to the Sacrament, but that the intention is adverse to and destructive of the Sacrament (para. 33). This is the "positive contrary intention" referred to in Appendix II. Anglicans can demonstrate with perfect accuracy that there have been and are Anglican bishops who both believe what the Catholic Church believes and intend to do what the Catholic Church does. Therefore, they have the correct ministerial intention. This has no bearing on the validity of their rite by reason of its defect of form (sacramental signification). As Fr. de la Taille makes clear, in the making (confection) of a Sacrament, the (ministerial) intention is concerned only with the application of a form, complete in itself, to matter which is of itself sufficient. "One thing, however, the ministerial intention can never do: it can never confer on the form a signification the form in itself does not possess. In other words, should the signification of the form be in any way deficient the intention (of the minister) will not supply this deficiency" 15 That is to say, a defective rite can never be used to confect a Sacrament, even when used by a lawful minister with the correct intention. The question of ministerial intention is incidental to Pope Leo's case, since defect of form alone is sufficient to render the Anglican rite invalid. All that the Pope is doing is to point out that when Queen Elizabeth I instituted her new Protestant hierarchy with the "consecration" of Matthew Parker as "Archbishop of Canterbury" in 1559, the re-introduction of the Cranmerian Ordinal, with its pronounced anti-sacerdotal signification, in place of the Sarum Pontifical (which had been restored under Queen Mary), manifested an external intention incompatible with the conferring of the Catholic Sacrament. Receive the Holy Ghost, whose sins thou dost forgive, they are forgiven; and whose sins thou dost retain, they are retained. And be thou a faithful dispenser of the Word of God, and of His holy sacraments: in the name of the Father, and of the Son, and of the Holy Ghost. Amen. The same apologists also lay considerable stress on the fact that Pope Leo claimed that the addition of the extra words in the 1662 revision showed that Anglicans themselves realized that the 1552 form was inadequate. They allege that the Pope was mistaken and that these changes were made to rule out the claim of Presbyterians that the Orders of bishop and priest are really one and the same. Nothing is lost in conceding this argument; it does not affect the theological point at issue, namely the Pope's judgment that these changes were not capable of imparting validity to an invalid rite. Receive the Holy Ghost for the office and work of a priest in the Church of God, now committed unto thee by the imposition of our hands. Whose sins thou dost forgive, they are forgiven: and whose sins thou dost retain, they are retained. And be thou a faithful dispenser of the Word of God, and of His holy Sacraments; In the Name of the Father, and of the Son, and of the Holy Ghost. Amen. It will be noted that, even with this addition, it is simply a case of an "office" being "committed" to the ordinand, and the assistance of the Holy Ghost is invoked to help him fulfill it worthily. There is no suggestion here (or anywhere else in the rite) that new powers which he did not possess before have been conferred upon him. "Committed" is not a sacramental word. The Church does not "commit" Sacraments, she "confers" them. Any words in the Anglican Ordinal, as it now is, which lend themselves to ambiguity, cannot be taken in the same sense as they possess in the Catholic rite. For once a new rite has been initiated, in which, as we have seen, the Sacrament of Order is adulterated or denied, and from which all idea of consecration and sacrifice has been rejected, the formula, "Receive the Holy Ghost," no longer holds good, because the Spirit is infused into the soul with the grace of the Sacrament, and so the words "for the office and work of a priest or bishop," and the like no longer hold good, but remain as words without the reality which Christ instituted (para. 31). Any words in the Anglican Ordinal, as it now is, which lend themselves to ambiguity cannot be taken in the same sense as they possess in the Catholic rite (para. 31). We pronounce and declare that Ordinations carried out according to the Anglican Rite have been, and are, absolutely null and utterly void (para. 36). But it does appear that some Anglican clerics have managed to obtain valid Orders. There have, apparently, been cases of Anglican ministers persuading Old Catholic Bishops to ordain them using the Old Catholic Ordinal. In such cases, valid orders would be received-----although it is hard to explain the mentality of men who are content to adhere to a denomination when they have so little confidence in the validity of its Orders that they find it necessary to undergo a second ceremony outside its boundaries. It was Our intention thereby to deliver a final judgment and to settle absolutely that most grave question about Anglican Orders, which indeed was long since lawfully defined by Our predecessors, but by Our indulgence was entirely reheard. And this We did with such weight of argument and in such clear and authoritative tones that no prudent or right minded man could possibly doubt what Our judgment was, and so all Catholics were bound to receive it with the utmost respect as being finally settled and determined without possible appeal. The most frequently cited argument used by those wishing to question the binding authority of the Bull is that it is not infallible. An infallible pronouncement, in the strict sense of the word, pertains only to what is contained in the deposit of Divine revelation, which is known as the primary object of infallibility. It is evident that Our Lord gave us no revelation as to the validity or invalidity of Anglican Orders. But there is a secondary object of infallibility which involves truths connected with revelation, including historical facts. It is an infallibly revealed truth that Our Lord instituted a sacrificing priesthood, but it is absolutely essential for the faithful to know who is or who is not a priest. When a convert priest celebrates Mass his congregation has the right to know that his Mass is valid. Thus, when the Church pronounces upon the validity of the ordinations of any Christian communion, we can know with infallible certainty that its decision is true. Convert priests from Orthodoxy are accepted without reordination, but, because the Church accepts the validity of their orders, we need have no scruples about assisting at their Masses. Decisions relating to this secondary area of infallibility are what is known as dogmatic facts, and Apostolicae Curae comes into this category. There is no possibility that Pope Leo XIII was mistaken, and there is no possibility that his decision will ever be reversed. The verdict of the Bull is not simply final but infallible. It is of great importance that the consequences of a reversal of Apostolicae Curae should be understood clearly. Pope Leo XIll assured Cardinal Richard that with Apostolicae Curae the question of the validity of Anglican orders had been "finally settled and determined without possible appeal." If Pope John Paul II now informed us that this was not correct, and that Anglican Orders are valid, what possible grounds could we have for being certain that he was right if Pope Leo XIII was wrong, and that a future pope would not reverse his decision and pronounce in favour of invalidity again? It is no exaggeration to claim that the entire credibility of the papacy would be undermined by any reversal of the judgment of Apostolicae Curae, and we can be quite certain that no such reversal will ever be made. Christian unity is a goal for which every Catholic has the duty to work and pray, but never at the expense of Catholic truth. As a conclusion to this chapter I would like to make it clear that nothing included in it (or in the entire book, for that matter) is intended to cause offence to Anglicans. If there is to be fruitful ecumenical dialogue, the first essential is for each party to state its position fully and truthfully. The official teaching of the Catholic Church is that Anglican Orders are invalid, and fair-minded Anglo-Catholics will certainly accept that it is no more uncharitable for Catholics to uphold this position than for them to maintain that various Nonconformist denominations do not have valid Orders. One reason why Anglo-Catholics have so strenuously opposed the Ten Propositions proposed by the Churches' Unity Commission (see Chp. IX) is that it would involve placing Anglican Orders on a par with the various Nonconformist ministries. The same was true of the unsuccessful attempt to achieve Anglican-Methodist Unity without the ordination of Methodist ministers by Anglican bishops. I certainly know members of the Anglican clergy whose lives could provide a pattern of Christian living that is equalled by few of my Catholic acquaintances. Furthermore, I know some who accept far more Catholic teaching than do the growing number of liberal Catholic priests. In belief, traditionalist Catholics and Anglicans have far more in common with each other than they do with the liberals in their own communions. This places Anglo-Catholics in the invidious position of being closest in belief to those Catholics who will not recognize their Orders. Those who have read the story of Cardinal Newman's spiritual development will need no further proof of the working of God's spirit within the Anglican Communion. Nor could anyone claim that his reception into the Catholic Church marked a transition from error to the truth; it marked, rather, a development from a less perfect to a more perfect apprehension and acceptance of God's truth. I was recently asked to edit a volume of Newman's sermons which would assist Catholics in resisting the ravages of Liberalism within the Church today. 22 I was able to do so by relying entirely on sermons written while he was an Anglican, and yet it would be hard to fault these sermons as truly sublime expositions of Catholic belief. Cardinal Manning was equally insistent that the manifest goodness of so many Anglicans must be attributed to the grace of God. Father Barnes explains that the Anglican sacraments can certainly be occasions of grace for those who assist at them with sincerity and devotion, quoting Newman to illustrate his point. In the face of the accelerating drift to neo-paganism throughout the west, every Catholic must be grateful for all that so many Anglican clerics do to uphold so much of the essential Christian faith in the face of so much discouragement, not least from the liberals within their own Communion. While we can pray that one day they will come to the fullness of truth, we can rejoice in the truth that they already embrace. But while we can rejoice in what unites us we would be failing in charity towards our Anglican brethren to gloss over what separates us-----and this is just what we would be doing if we gave the Anglo-Catholic clergy the impression that we believe they have valid orders and are sacrificing priests in the Catholic sense. Indeed, the great majority of Anglican clerics would reject with indignation any suggestion that they were sacrificing priests. 1. RMP, vol. 1, pp. 448-451. 4. Cranmer and the Reformation under Edward VI (Cambridge, 1926), p. 229. 8. T .A. Lacey, A Roman Diary and Other Documents (London, 1910), p. 8. 11. The Churchman, March 1962, pp. 23-30. 12. Scottish Journal of Theology, March 1957, pp. 109-11. 15. The Mystery of Faith (London,1950), pp. 455/6. 16. See B. Botte, The Sacrament of Orders (London, 1962). 17. P AO, p. 2. 18. Chrysostom, Autumn 1974, p. 26. 19. V AC, pp. 42-44. 21. No Sacrifice-----No Priest (C.T.S., 1933), p. 24. 23. Op. cit., Note 20, p. 14. 24. Op. cit., Note 21, pp. 25/26.